Pukkelpop will return from Thursday 14th until Saturday 16th August at Kempische Steenweg, in Belgium. This festival has been running since 1985 in Belgium, and after various location changes has settled on the site of KempischeSteenweg in Kiewit, Hasselt.  Latest additions Tinie Tempah, Jimmy Eat World, Amatorski, The Van Jets, Oscar And The Wolf, Float Fall, Raving George, Wallace Vanborn, BRNS, American Authors, Dan Croll, FKA Twigs, Horse Thief, Kwabs, Ryan Hemsworth, Actress, Arcane Roots, The Bohicas, Cage The Elephant, Drenge, Eyedress, Joris Delacroix, Kadavar, Kurt Vile & The Violators, Wovenwar, As I Lay Dying, James Vincent McMorrow, and Mapei. Thursday: August Burns Red, Black Lips, Brodinski, Camo & Krooked, Cashmere Cat, Crookers, Deadmau5, Deafheaven, Die Antwoord, Disclosure, Editors, Faul & Wad Ad, Flume, Frank Turner, GTA, Hozier, Janelle Monae, Jungle, Kelela, Klangkarussell, Mo, Outkast, Paul Woolford, DJ Snake, To Kill A King, and Young Fathers. Friday: A Day To Remember, Andy C, Balthazar, Blaudzun, Boy & Bear, The Bloody Beetroots, Breach (DJ Set), The Cat Empire, Clean Bandit, Dub FX, Duke Dumont, Ed Sheeran, First Aid Kit, The Flatliners, DJ Fresh & Messy MC, John Newman, Kaytranada, Lonely The Brave, Macklemore & Ryan Lewis, MK, Modestep (DJ Set), The National, Neneh Cherry & RocketNumberNine, Nina Kraviz, Of Mice & Men, Omar Souleyman, Royksopp and Robyn, Shlohmo, Sub Focus, Tom Odell, Truckfighters, and xxyyxx. Saturday: The 2 Bears, Anna Calvi, Bill Callahan, Bombus, Bring Me The Horizon, Buraka Som Sistema, Brody Dalle, Calyx & Teebee, Calvin Harris, Dirtyphonics, Drumsound & Bassline Smith, Dusky, Epica, I Am Legion, Jake Bugg, The Jillionaire, John Wizards, Kavinsky, Kelis, Mat Zo, Maybeshewill, Neck Deep, Portishead, Queens of the Stone Age, Red Fang, Rockwell, Snoop Dogg, Submotion Orchestra, Tensnake, Tourist, and Uncle Acid And The Deadbeats. Tickets have sold out. Weekend tickets were priced at 175 euros, day tickets were available priced at 85 euros.